After Sales Service is available worldwide from our team of service technicians and large inventory of spares. Click here to go see our overstocked items! Enter the part number of the part you wish to find. You may enter the entire part number or just a portion of it. 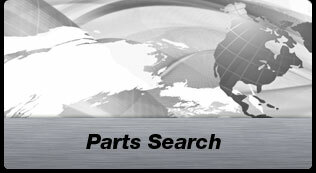 Any parts matching the part number entered will be displayed. For your convenience we have a list of replacement and upgrade parts. This list is available upon request in PDF format, for Sidel®s, and Krones® reheat blowers. After Sales Service is available worldwide from our team of service technicians and large inventory of spares. B & G has a staff of people assigned to machine start-up and servicing. 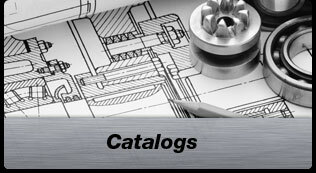 Let B & G Products, INC. assist you with your requirements from equipment selection through factory startup. The PET Machines distributed by B & G compliment and complete the necessary equipment for production of PET containers. Contact us at 616-698-9050to further discuss your requirements, or use our general email form. Services also extend to and include B&G's support of replacement and upgrade parts for other manufacturers PET reheat stretch blowing machinery. Contact B & G today with a request for service using our Service Request Form. We offer complete repairing of transfer arms, beyond the standard bearing, seals, and bushings. Before you throw your arm away and consider it junk, give us a no-obligation chance to quote it for you. We offer a complete repairing of your 3-way valve, from the standard kit replacement to repairing the worn areas of the valve, such as the shaft pin hole. We also offer 40 bar conversions, converting your machines old 40 bar system to the upgraded 3-way system. For Spares text manual and/or computer disk (CD) please use our CD Request Form. We can repair blow nozzel cylinders in-house, and also stock blow nozzle cylinder kits for plant repairing. B&G repair kits include ureathane impact cushioning. No need to replace with PHD or others. B&G repairs all your series 1 model SBO® chains, both quick change and dedicated. We offer two replacement options to choose from to save you money, a core chain to provide quicker delivery, and the option of a field service technician to assist with installation. Please call us with your requirements.